Oil, cash payments and embezzlement. The adventures of a Swiss trader in Brazzaville. A story in six acts. Public Eye has investigated some very lucrative contracts that relate to Gunvor’s business in the Republic of Congo. 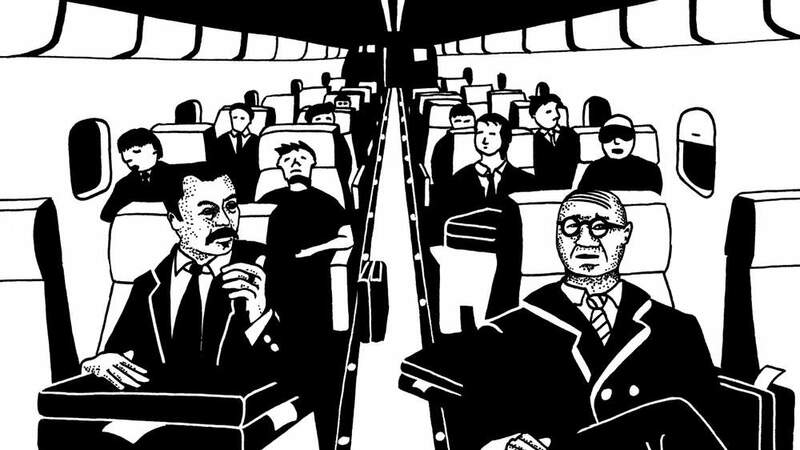 The story’s ingredients are explosive: black gold, politics, and suspicions of corruption. 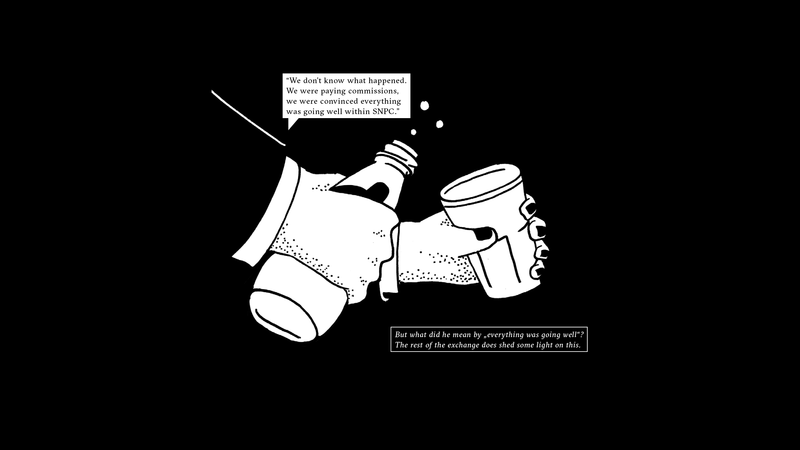 It is a story emblematic of problems that plague the trading sector. And it demonstrates the role of Switzerland in the resource curse, whose victims live in resource-rich countries but remain imprisoned by poverty. In January 2012, the offices of Gunvor in Geneva were searched. Nothing, or almost nothing became known about the criminal investigation, but Public Eye dived right into the twists and turns of this tentacular affair. On 3 July 2012, Gunvor took centre stage on French-speaking Swiss television. RTS broadcast a programme during a primetime evening slot relating to an event that occurred in Geneva in January of that year. Federal Police had raided the offices of Gunvor, the world’s fourth largest oil trader. 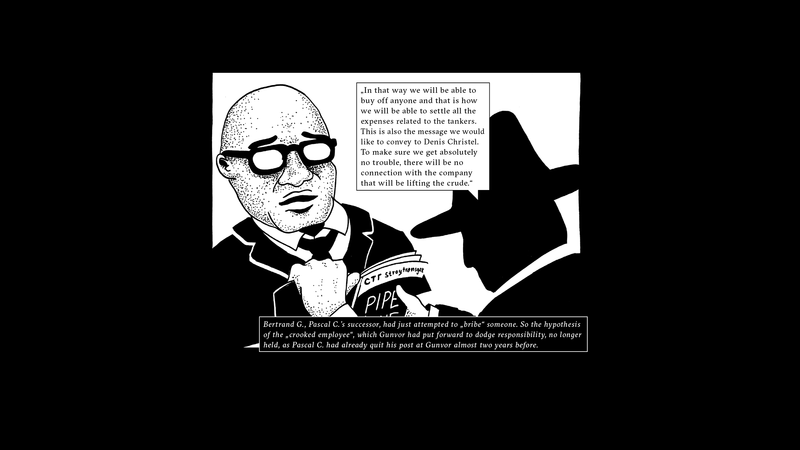 The criminal prosecution authorities set their sights on suspicious payments connected to oil deals between Gunvor and the opaque Société nationale des pétroles congolais (SNPC), which markets the black gold on behalf of the Congolese state. They suspected money laundering operations had taken place. Gunvor would surely have preferred not to have to face that kind of attention. 19h30 - RTS, 3rd July 2012. 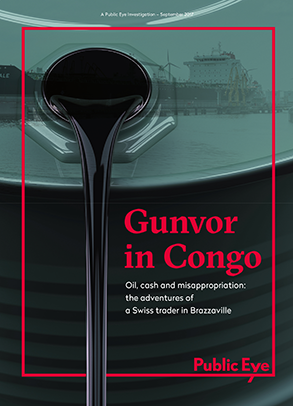 Did Gunvor pay bribes to access the much sought-after Congolese black gold market? Or was it a case, as claimed by the company, of a «crooked employee» who had allegedly transferred millions without his superiors knowing anything about it? The investigation of the Office of the Attorney General of Switzerland is still ongoing. Here are the findings of our investigation. Gunvor built its success with Russian oil. In 2006, the company set about conquering African markets. So it ventured onto risky and very competitive territory: the Congo. "Gunvor". Does this name ring a bell at all? No? And yet it is the world’s fourth largest independent oil trader. Like its major competitors, Swiss companies Vitol, Glencore, Trafigura or Mercuria, it has the habit of doing business in the shadows and ensuring full discretion. Founded in 1997 by Swedish businessman Torbjorn Tornqvist and Russian tycoon Gennady Timchenko, Gunvor started from scratch – or almost – to become the top trader in Russian oil in just a few years. Between 2005 and 2007, the company’s sales went up from USD 5 billion to USD 43 billion. 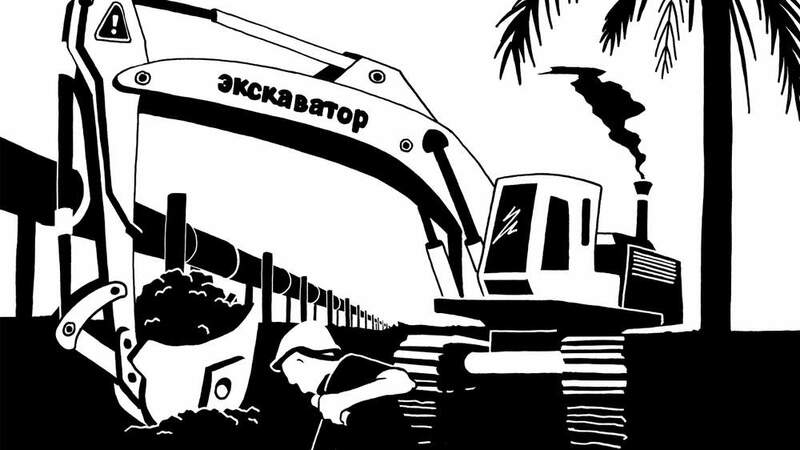 It has then established itself as the major oil marketer of Russian state-giant Rosneft. Could this meteoric rise be due to the close ties between Timchenko and Russian president Vladimir Putin? The two men are long-time friends, yet whenever the media has brought up these links between Gunvor’s co-founder and the head of the Kremlin to explain the company’s phenomenal success, Timchenko has denied it outright, threatening legal action on several occasions. During these bonanza years, Gunvor flooded the world market with barrels of Russian crude. Yet the company feared that the Russian-oil business might end one day and since 2006, has sought to diversify its business. It decided to set its sights on Africa. Gunvor paid dearly to poach expert traders from its Geneva-based competitors, promising them annual salaries of up to four million dollars. After several failed attempts in Angola, Nigeria, and Cote d’Ivoire, Gunvor managed to penetrate the very lucrative market for Congolese crude oil. 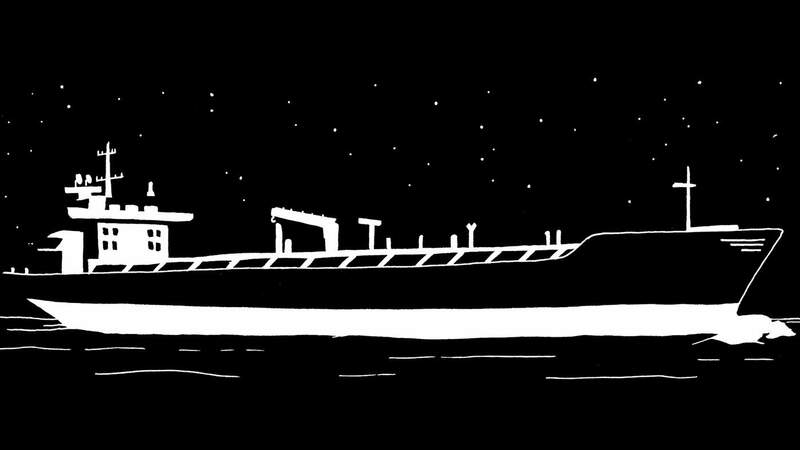 Discover more about the adventures of Gunvor in Congo in our investigative report. Congo, a country with a major dependence on oil and a regime that is both an autocracy and a kleptocracy, is the embodiment of the «resource curse». In the Republic of Congo, more than half of the people live on less than USD 2 a day. According to Transparency International, the country is ranked fifteen among the most corrupt countries in the world. More than two thirds of its government revenues come from oil. Swiss companies are among its best customers. Between 2011 and 2013, Gunvor, Vitol, Glencore, Trafigura and Mercuria bought a third of SNPC’s export sales on average. Congolese president Denis Sassou Nguesso has been in power since 1979, except for a short democratic stint from 1992 to 1997. He has placed his cronies in the most lucrative posts. It is actually his son, Denis Christel, nicknamed «Kiki» and known for his lavish lifestyle, who is the king of state-oil sales. He is Deputy Director in charge of downstream for the Congolese National Oil Company (SNPC) and General Manager of the Congolese Refining Company (Coraf). The presidential family have shamelessly enriched themselves for decades. Well documented by NGOs and media, this predatory behaviour is now keeping the courts busy, especially in Switzerland and France. It was in this context that Gunvor wanted to pursue its strategy of diversification. But how would they find their place under the lucrative Brazzaville sun? In these circles, the best deals are often secured with the helping hand of «door openers», who pull the strings behind the scenes. The role of these intermediaries can be problematic. In many cases, these men were in charge of paying illegal commissions to people who had the power to award contracts to «good» companies. So who did Gunvor entrust the task of opening Congolese doors? Two men were chosen to open the doors to Congo: Jean-Marc Henry and Maxime Gandzion. 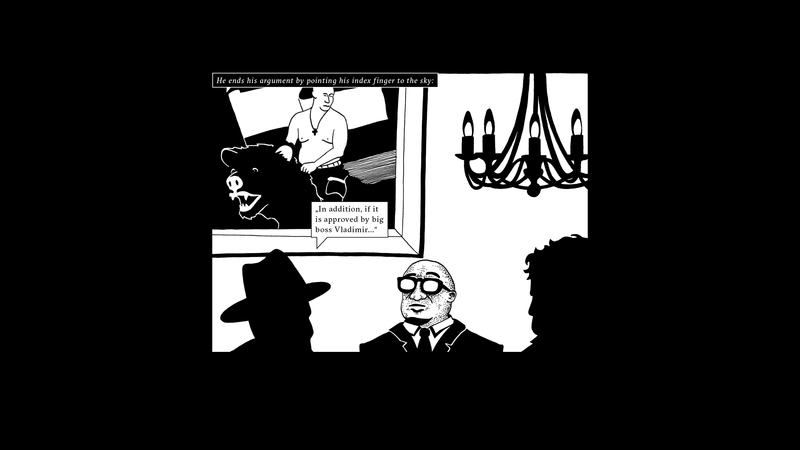 Together, they form an unbeatable team, since Henry had contacts among Congolese ministers and Gandzion had access to the presidential palace. With this dynamic duo, all the links in the Congo chain were in place. The only thing left to do was to find a way to persuade the presidential family to sell its oil to Gunvor. The trader then played two trumps… and won the hand! Gunvor played two trumps to win the hand. One was geopolitical, the other financial. The former involved a promise to play matchmaker between the Congolese and Russian governments. At the time when the Geneva-based company was publicly denying any connection with the Kremlin and showed an uncompromising attitude towards the media every time they brought up the close relationship between Timchenko and Putin as the key to its success, Gunvor's representatives were using this very same argument to persuade the Congolese authorities to agree to enter into dealings with them. 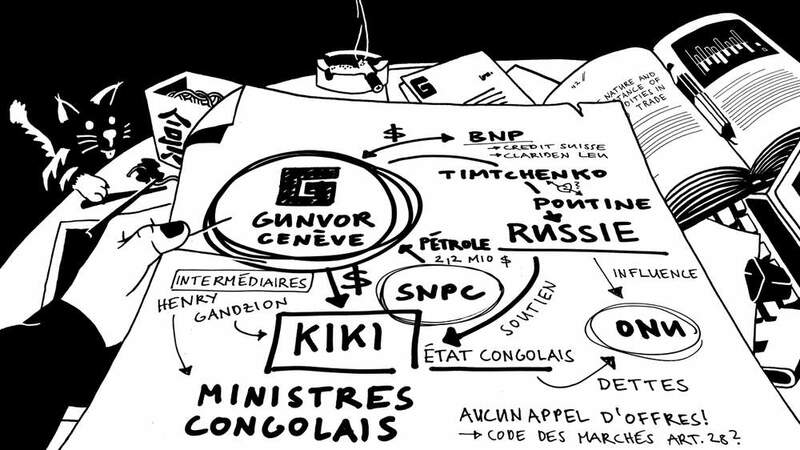 According to two of our sources, Gunvor had allegedly promised the Congolese that by aligning themselves with a «structure controlled by Putin», they would see «the doors to Russia’s economic cooperation agreements open» in front of their eyes. The Kremlin also pledged to defend the Congo in UN bodies. Piecing together different bits of information, we learnt that Timchenko then flew the son of the Congolese president to Moscow in his private jet. This was in 2010. During his «tour of the great dukes», «Kiki» met the Russian energy minister as well as the owners of Russia’s main oil groups. The aim of the visit: to prove to Congolese officials that Gunvor could access the highest spheres of Russian power. And Gunvor was not bluffing. On 31 August 2011, the Russian and Congolese governments signed an economic cooperation agreement focused on the energy sector. Russia committed to support any companies investing in Congo’s oil. Gunvor had a second ace up its sleeve: finance. Unlike the Republic of Congo, which is notoriously corrupt and indebted, the Swiss trader enjoyed easy access to credit from major banks active in trade finance. The Congo needed fresh money? No problem for Gunvor. It quickly found a bank that would lend some of the capital which Gunvor then lent to Brazzaville: BNP Paribas. The group subsequently offered to the Congolese authorities a loan pledged on oil, a form of mortgage on future deliveries of black gold. In jargon, this is a «pre-financing» deal or a «prepayment». And so, Gunvor became the «Bank of Congo», without, however, being subject to the regulations applicable to financial institutions. Gunvor's strategy would soon pay off. 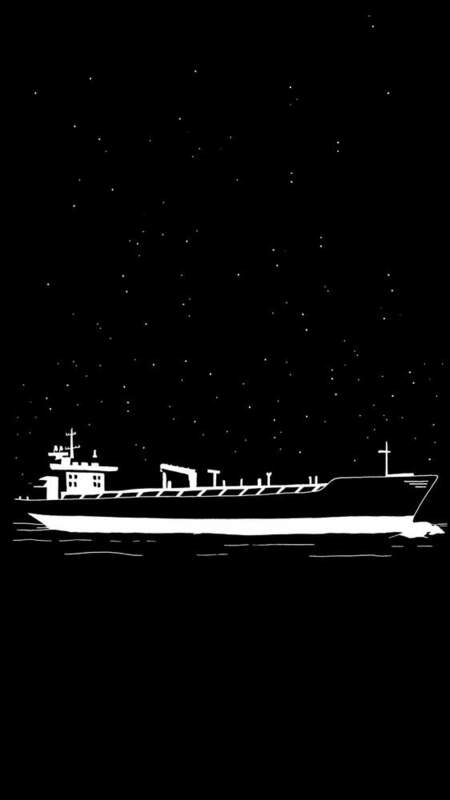 In June 2010, «Kiki» signed an agreement with the Geneva-based trader for three shipments of crude oil. But the main course came in January 2011 in the form of a second contract which lead over the following months to the lifting of an additional 19 tankers, each worth some USD 100 million. All in all, Gunvor lifted 22 shipments of crude oil between 2010 and 2012, the total value of which came to about USD 2.2 billion. These contracts helped Gunvor to generate substantial profit. In 2011, they represented more than 20 percent of the group’s total profits. Let’s get the calculator out! Throughout 2011, at the time where its business in Congo was at its peak, Gunvor received twelve shipments of oil and issued four pre-financing deals. The trader made no money through the interest paid on the credit, because it lent to the SNPC at «roughly the same rate at which it was borrowing from BNP Paribas,» said one source familiar with the deal. 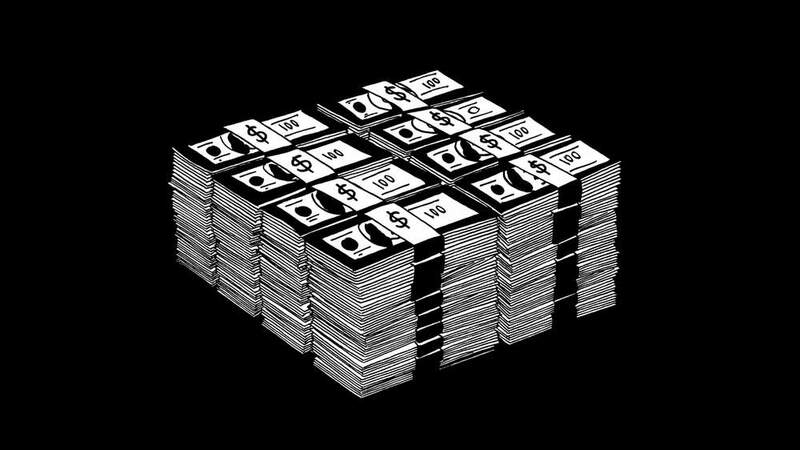 The profit came fromthe «arrangement fees», a kind of contractual fee to cover the costs of settingup the loan. In this type of transaction, the debtor generally pays contract fees that are supposed to cover the costs of setting up the credit loan. However, according to a draft contract we were able to consult, the costs paid by the Congolese National Oil Company to Gunvor were significantly higher than those that the trader was required to pay to its bank. This is how, according to our information, Gunvor's «banking» business enabled it to pocket more than USD 14 million in 2011 alone. In addition, the prepayment agreement was made in (US) dollars, but the crude shipments were paid for in euros. This meant that Gunvor could play with exchange rates, choosing the right moment to repay its debt over the space of eight days. According to the documents we were able to consult, Gunvor was able to make a profit on the exchange rate, and a favourable clause enabled it to pocket an extra USD 10.9 million. Thanks to these financial transactions, Gunvor was able to pocket more than USD 25 million in 2011 alone. Playing the banker can pay off big time! Of course Gunvor also wanted to enrich itself through its core business: the trading of crude oil. In the Republic of Congo, this is an extremely lucrative business activity. «Congolese oil is a money-printing machine,» one source told us. Traders make margins of between USD 0.80 and USD 1.50 per barrel of oil, whereas standard margins fall normally between USD 0.30 and USD 0.40. So how can this be explained? «This generosity obviously does not come for free and always entails a commissioning agreement towards Congolese officials», said a source. So, the Congolese elite agreed to sell to the traders at lower prices, allowing the traders to increase their margins and to repay the favour via commissions. This was tantamount to a theft of public revenues, a share of which found its way into private hands. The only losers were the Congolese population, the rightful owners of the oil. In 2011, Gunvor cashed in almost 17 million dollars from these trading activities. 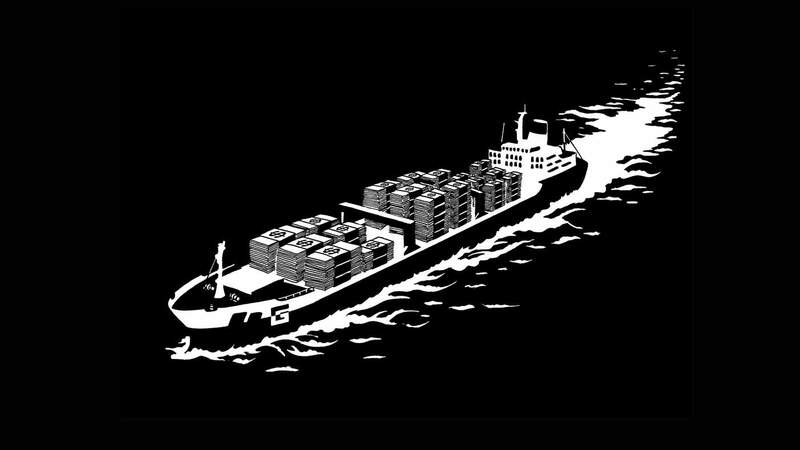 Traders like to present themselves as mere «movers», who simply transport commodities «from their point of extraction… to the place where they are needed,» as Gunvor explains on its website. This oversimplified explanation does not conform to reality, especially when we look at another one of Gunvor’s activities in Congo. It was neither its operations as a trader nor its banking services that made it the most profits in 2011, but rather its role as «door opener». 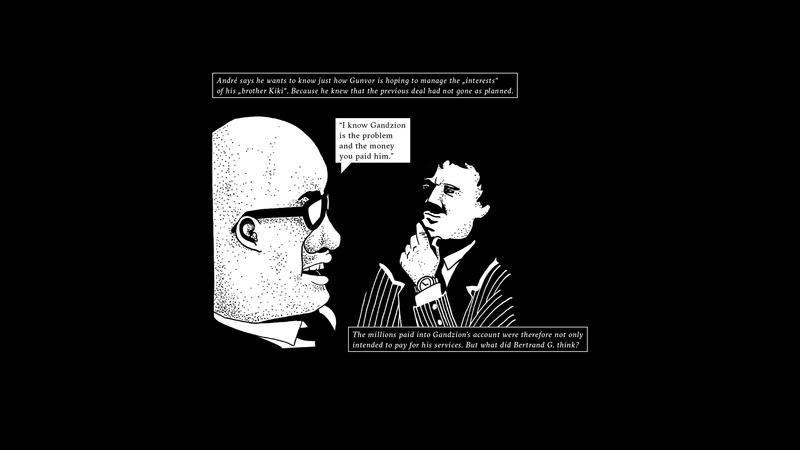 Gunvor acted as middleman, providing access to the Congolese elite on behalf of two companies, one Brazilian and the other French, in exchange for juicy commissions. Specifically, the trader offered to ensure that public contracts, financed by the loans it granted to the SNPC, were wonby the «right» companies, a service which earned Gunvor the tidy little sum of 31 million dollars. But there was a problem. The pre-financing deals granted by Gunvor were to be allocated towards the development of state oil infrastructures. This was clearly stated in the contracts. It was also in line with Congo’s commitments to the IMF, which had just reduced the country’s public debt. However, Gunvor committed to lobby the Congolese authorities for construction work unrelated to the oil industry on behalf of Brazilian company Asperbras. The latter thus secured enormous contracts worth several hundreds of millions of dollars, charging for its services to the Congolese state prices that were ten times higher than for similar works in other countries. The case is now in the hands of Portuguese prosecution authorities, which suspect several ministers of taking bribes. This affair is one of Portugal’s largest corruption scandals ever. 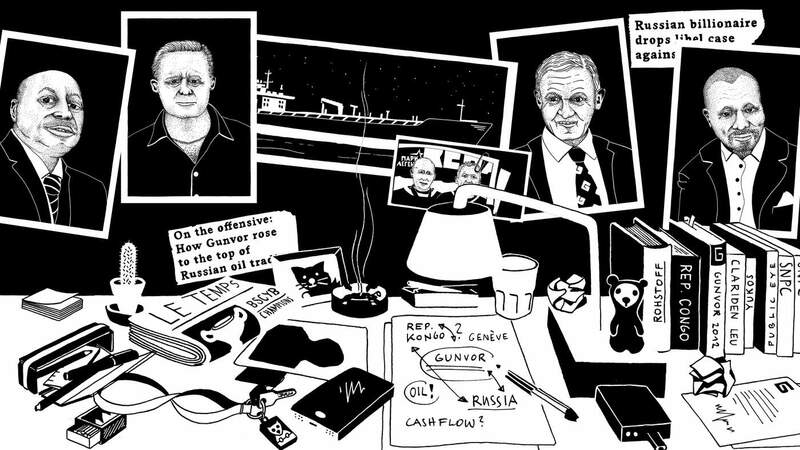 Gunvor helped set up the problematic way in which the oil money was used by Congo. The company made enormous profit this way. 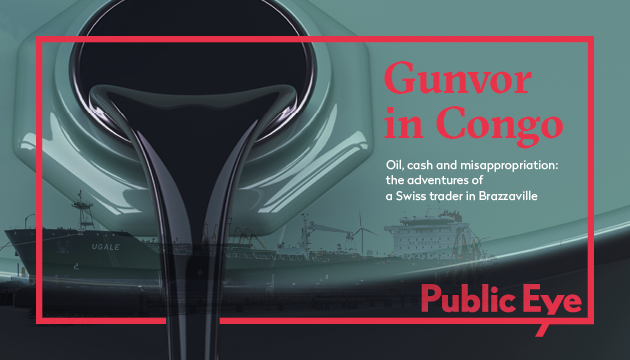 Our investigative report details Gunvor’s deals in Congo. It shows the role of theSwiss trader and its business partners in awarding public contracts financed by oil money and tainted by strong suspicions of corruption. By our estimates. Gunvor's business dealings in Congo brought in more than [USD] 73 million in 2011 alone. This figure represents 20% of the Republic of Congo’s spending on health that same year. Between 2010 and 2012, the Swiss company made an overall profit worth an estimated 114 million dollars in Congo. Oil contracts were not just a source of profit for Gunvor. They also drew the attention of criminal prosecution authorities, who wanted to know: why were millions transferred to obscure companies in Hong Kong? For Gunvor, the Congolese fairy tale came to an end in December 2011, when federal prosecutors became interested in suspicious movements on the Swiss accounts of four companies registered in tax havens. The companies belonged to Jean-Marc Henry, one of Gunvor's intermediaries; to Yoann Gandzion, the son of the second intermediary Maxime; and to Pascal C., Gunvor's business developer, who hired Gandzion and Henry on behalf of Gunvor. It is into these companies’ accounts that Gandzion and Henry received generous compensations for their services as door openers. In 2011, Gandzion received more than USD 10 million from Gunvor. He was also generously paid by Asperbras. These extravagant amounts should have alerted Clariden Leu, which held the accounts. But nothing happened. It was not until Credit Suisse took over the bank, in November 2011, that the alarm bells began to ring. The reason: several withdrawals from the accounts of Gandzion’s son. In 2011, the latter paid a total of USD 4.7 million to several companies based in Hong Kong. What is even more troubling is that the companies in question belong to eleven Chinese nationals many of whom had either links with organised crime or been convicted of financial crimes. According to one of our sources, these eleven Chinese would have withdrawn the money in cash and sent it to the Congo in briefcases. For its part, Gunvor paid several millions into the account of a mysterious company also registered in Hong Kong. In total, the suspicious payments made by Gunvor amount to more than 30 million dollars. As a result of Credit Suisse reporting its suspicions to the authorities, the Office of the Public Prosecutor of Switzerland opens criminal proceedings against persons unknown on «suspicion of money laundering». The accounts of Yoann Gandzion, Jean-Marc Henry and Pascal C. are frozen, and a few weeks later, the offices of Gunvor are searched . When RTS disclosed news of the search, the Geneva-based trader did not state a mere «no comment», but took amore cautious line of defence, according to which it alleged the wrong doings were due to the «one-off case of an employee whose employment contract had been terminated». PascalC., the employee in question, had allegedly acted without his superiors’ knowledge. Gunvor’s «business developer» fell out of favour. In November 2012, the company went on the offensive and filed a lawsuit against its former employee, as well as against Jean-Marc Henry, for money laundering, fraud, breach of trust and unlawful business practices. Now how credible is the «crooked employee» hypothesis? Is it really possible that over USD 30 million in commissions was paid «without Gunvor’s knowledge»? Several factors cast doubt on this thesis, especially the fact that Pascal C. did not control the finances and did not have, at that time, the authority to sign. 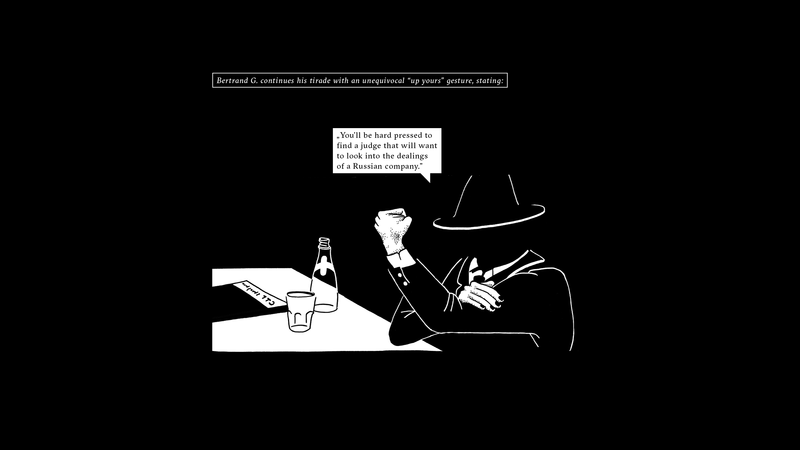 Gunvor said: «Our systems of internal control were misused by our former employee to get rich at the cost of Gunvor.» As for the intermediaries who benefited from the commissions, their contracts «had been signed by the ex-employee in breach of our signature protocol.» If so, why did his superiors give him a posteriori signing rights when Credit Suisse started to ask questions? Gunvor said that was «at his request on the basis of incomplete and misleading information». The timeline is also strange. The firm waited several months after the search before dismissing Pascal C. Gunvor had even tried an amicable divorce at first, suggesting that he become an “external consultant”. But when media broke the story, the fear of losing its banking relations would have pushed the firm to change its strategy. Géraldine Viret, spokesperson for Public Eye, looked at Gunvor's communication strategy. Conversely, Pascal C., the former Gunvor employee retorted in March 2013, by filing a lawsuit against Gunvor for «false allegations». According to our information, in the spring of 2017, Pascal C. admitted to the judge to having been actively involved in paying commissions which he knew were meant for foreign officials – in particular President Sassou Nguesso’s clan. He claimed to have acted in his capacity as employee and to have done so with his superiors’ knowledge. 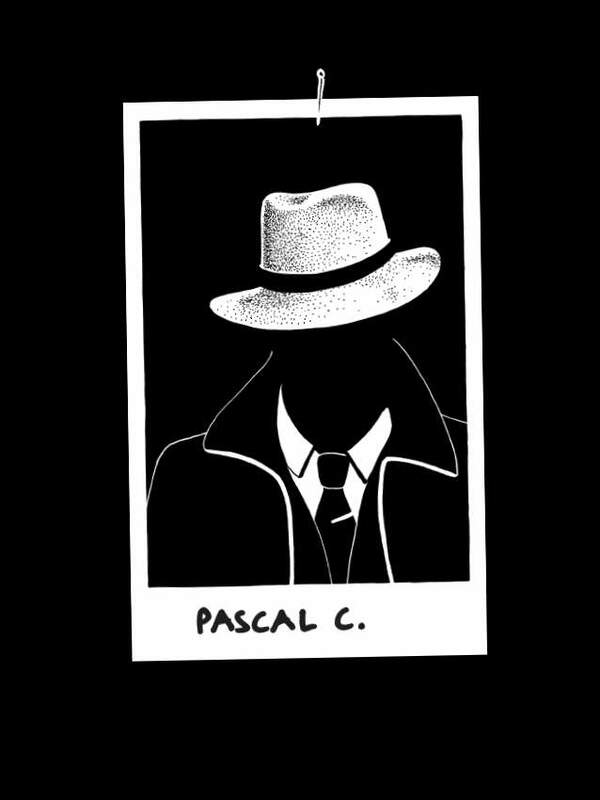 What happened next seems to confirm that Pascal C. was not the only one involved. Shaken by these legal troubles, Gunvor did not give up the fight. The company tried to restart its business in Congo, no matter what the cost. Who at Gunvor knew about the suspicious payments? While the justice system was trying to clarify what actually happened, the Geneva-based trader was in no way admitting defeat. On the contrary, the company decided to crank up the pace and did not hesitate to take unprecedented risks to revive its business in Congo. In July 2012, it signed a contract with Yoann Gandzion, the son, whose accounts had been blocked by Swiss authorities on grounds of suspicious transfers. Gunvor then enlisted the services of another one of its «African» intermediaries. 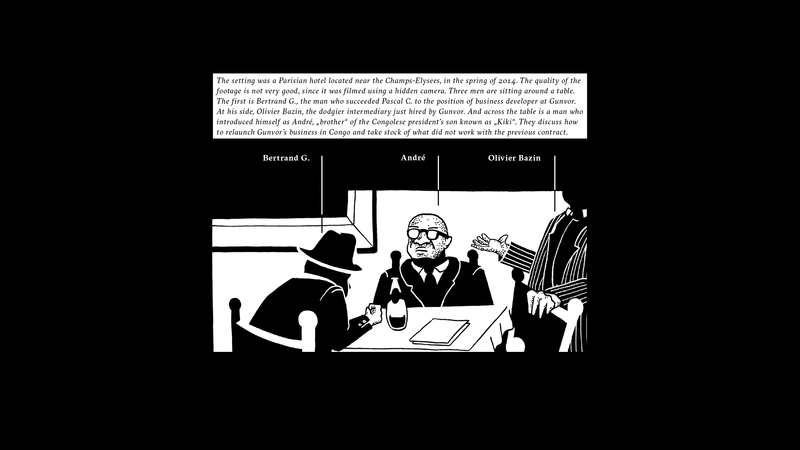 The man chosen this time was Oliver Bazin, nicknamed «Colonel Mario», an even dodgier character. In 2014, Gunvor was on the verge of regaining control of Congolese oil, but events took an unexpected turn. 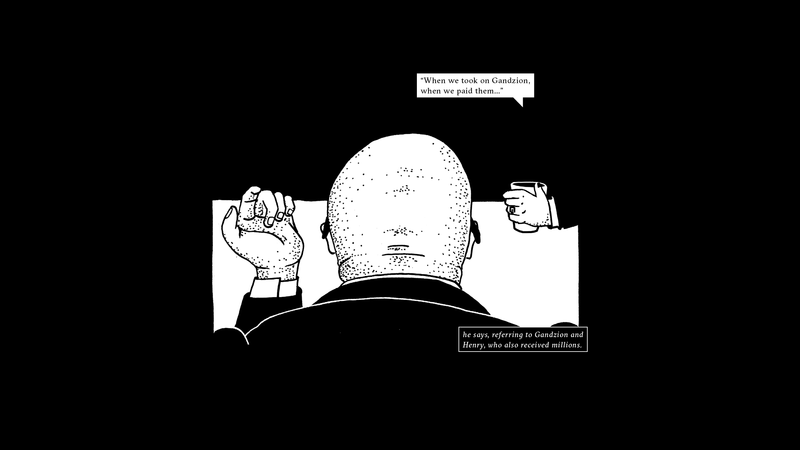 In June 2014, the lawyers of Pascal C. and Jean-Marc Henry contacted Gunvor, claiming to be in possession of damning footage that was clear proof of the trader's corrupt practices in Africa. The lawyers put a deal on the table: the recording would not see the light of day if Gunvor withdrew the complaints against their clients. But, receiving no reply from the firm, they handed everything over to the prosecutor in charge of the case. Public Eye was able to see the infamous footage with its own eye. «In that way we will be able to buy off anyone and that is how we will be able to settle all the expenses related to the tankers. This is also the message we would like to convey to Denis Christel.» – damning footage extracts. 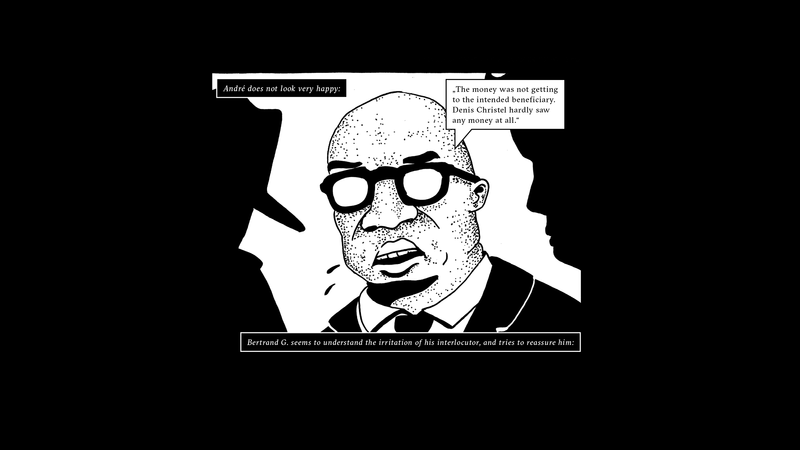 For the lawyers of Jean-Marc Henry and Pascal C., this video unequivocally showed that the proposal was to set up a structure that would make payments to Congolese officials. The prosecutor seems to be of the same opinion. He brought an action against Bertrand G. for «bribery of foreign public officials». The prosecutor also heard Bazin who, according to our information, is no longer working for Gunvor today. In addition, the oil contract signed in Congo in 2014 has been cancelled. Bertrand G. was dismissed by Gunvor in September 2014. As far as we know, he signed a document acknowledging that he had acted on his own initiative in meeting with «André» and Olivier Bazin, and not on the instructions of his employer. Do we still think it is acase of a «crooked employee»? According to one of our sources, in exchange for signing this document, and to pay for his silence, Gunvor allegedly shelled out USD 700,000. Bertrand G. has apparently since decided to leave the oil industry. Gunvor’s Africa Desk is no longer based in Geneva, but in Dubai – far from the Swiss justice system, which continues to lead its investigation. What lessons can we draw from this story? As host country for some 500 companies active in the commodities sector, including the world's major players, Switzerland must assume its responsibilities. Although the Federal Council has recognised since 2013 the «reputational risk» that this sector poses to Switzerland, it continues to rely solely on the good will of the firms, expecting them to «conduct themselves responsibly, and with integrity». This goes to show just how the attitude of the Swiss federal authorities is at best verging on naivety and at worst on complacency or cynicism. Gunvor’s adventures in Congo show us once more the need for regulation of the trading sector. Andreas Missbach, Head of Commodities and a member of the Governing Board at Public Eye, explains why Switzerland should take action. 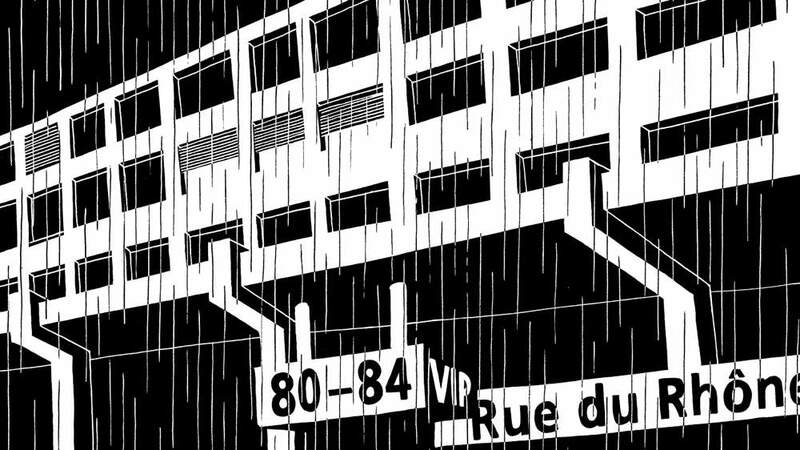 For more information, download our investigative report (68 pages, in English or in French). Shining a light where nefarious people prefer their activities to remain hidden in the shadows, denouncing harmful actions and proposing specific solutions: these are Public Eye's aims. Through research, advocacy and campaigning, we are fighting injustices that have a significant link to Switzerland and making the voice of our 25,000 members heard for a responsible Switzerland. Support us at Public Eye by making a donation!